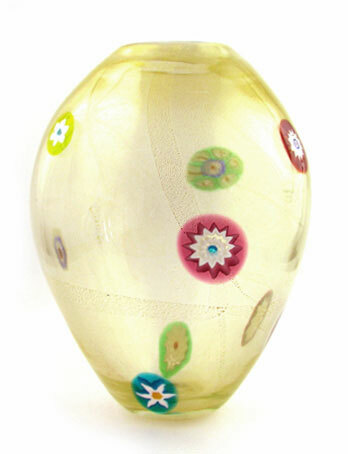 The delicate curves of this oval vase combine with the 24kt gold and slices of canne to create this beautiful vase. 7.5H x 6W. Handmade on the island of Murano, Italy.